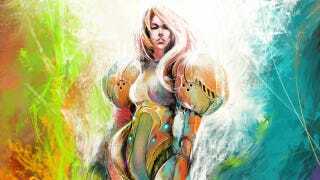 The internet is drowning in Samus fan art, but this beautiful image, complete with subtle redesign, might just be my new favourite. It's like a cross between a Nintendo game, a rock poster and early 80s anime. In other words, the perfect picture.